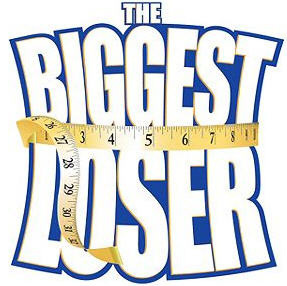 We’re just a few short weeks away from there premiere of Biggest Loser, beginning its 10th season September 21, 2019 on NBC. Already casting for season 11, it’s proof that this show is in the right place and right time as more and more Americans work to overcome the obesity epidemic that is plaguing young, old and everyone in between. Each season the inspirational show, hosted once again by Alison Sweeney, takes overweight men and women and isolates them at the infamous Biggest Loser Ranch, located outside of Los Angeles, California. For several months (varying each season) contestants work side-by-side with esteemed trainers Jillian Michaels and Bob Harper to lose weight, re-learn how to eat, and overcome the personal, emotional issues that have precluded them from living a healthy life before now. While the Couples or Families versions of the show have become quite popular, pitting teams of two family members or friends against one another, season 10 goes back to the show’s roots with individuals competing against individuals. For season 10, Biggest Loser is introducing the “pay it forward” theme – working to help these competing individuals as well as the communities from which they call home. The premiere episode shows trainers Bob and Jillian in seven hometowns for city-wide workouts. Amongst the crowd are three people vying for spots on the show, the two who finish the challenges first will become contestants. Keep up with Alfredo “Frado” Dinten’s journey during Biggest Loser season ten. DietsInReview.com will update each contestant’s weight loss, as well as accomplishments, videos, and more following weekly episodes. Learn more about Frado now!